PMB has reacted to claims that his government is ruled based on tribe and ethnicity. Many Nigerians have openly criticized the Buhari-led government, accusing it of appointing only Nigerians from the North in key positions. 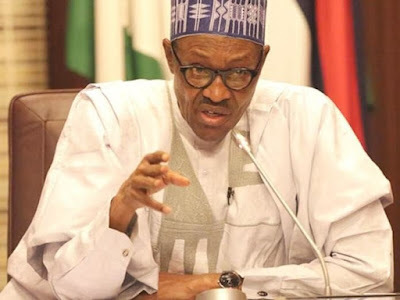 President Buhari during his dinner with APC chieftains on Thursday January 18th, said even though the South Easterns gave him the lowest of votes during the 2015 election, he has appointed four persons from that region into very key positions. He appealed to the APC chieftains to go back and help him correct the notion that the appointments made by his administration is based on ethnicity. Speaking at the dinner, President Buhari said ”There is something that hit me very hard and I am happy I hit it back at somebody. Seven states of the north are only represented in my cabinet by junior ministers, ministers of state. In south-east, I got 198,000 votes but I have four substantive ministers and seven junior ministers from there. You are closer to the people than myself now that I have been locked up here, don’t allow anybody to talk of ethnicity. It is not true”.